1. Your copywriting needs to be competitive. In todays online or offline marketing and advertising space you’re competing in an ocean of over one billion websites, not to mention the staggering amount of signage and other printed material we see in our daily lives. Many businesses have invested in quality copywriting and are using competitive SEO and content marketing strategies to gain a high position on search engines. In other words…they have a big head start if you’re just beginning. 2. Let’s not forget about offline copywriting. Any-one who knows will tell you that marketing offline is also an essential ingredient when promoting your business. Surprisingly, many businesses still only market offline and do not have an online presence. Think about your signage, printed material and PR? Your copywriting needs to be a targeted, timely and unified solution to promote leads and sales. For example, direct mail has a high opening rate (73%) and if you combine email and direct mail in a unified and timely manner your opening rate is even higher. 3. Don’t let low quality content keep you from getting ahead! Today more than ever copywriting needs to persuade and entice the consumer otherwise your content marketing efforts are limited. Search engines match the search query and require relevant and tightly themed content to match your customers query to the most relevant content on the internet. It makes perfect sense to research your customers, and the keywords they are using. Be the winner in your industry and create high quality relevant content on your website that relates to your customers search query. 4. You only have seconds to entice, engage and persuade. Let’s face it, everyone has less time to read and is inundated with signs, advertising and messages…it’s difficult to stand out from the crowd. You’ve probably noticed many examples of an amateur copywriter’s efforts or businesses that rely on inexperienced staff to act as the copywriter and unfortunately fail to engage the reader. Don’t lose your readers attention! Copywriting needs to be created by a professional talented writer who understands how to research the customer, your business and create persuasive copy. 5. Your copywriting often spells the difference between failure and success. Copywriting is research based writing and a professional copywriter also understands marketing and quality graphic design for web and print. A professional copywriter needs to understand the importance of your brand identity and the marketing message and objectives of your business. Of course you would agree, the single most important factor to writing an article or advertisement is to promote a product or service. Your copywriting will need to promote a compelling offer and let your readers know why the offer is beneficial to them. One of the most critical factors for a copywriter is to present a persuasive, concise offer, cleverly crafted to entice the reader to want to know more. The essential task is to carefully guide your reader through your headlines, sub headlines, images and body copy until they reach the final crescendo…your call to action. Finally, your call to action is where your business gains leads and sales. Your call to action is the final action and the purpose of your investment in copywriting. Whether it’s a website, news article or advertisement your call to action needs to be clear and easy for your reader to fill in their details. Think about your reader and what situation they may be in? If your reader is filling out a web form, make it short…only ask for first name, last name, email address and possibly a phone number depending on the product/service. Always remember…when people are online they are impatient and don’t want to spend too much time filling out forms. Always remember, you have invested a great deal of time and money in your copywriting efforts so be sure to record your clients in a suitable data base software package. For example, Microsoft Excel, Microsoft Access or your Bookkeeping software package is also suitable. 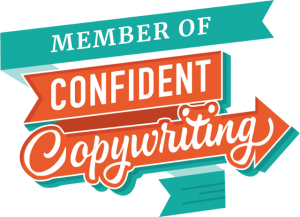 Whatever your needs are our freelance copywriting services can be tailored to suit your budget. Call us now to book an appointment or contact us online.